This comprehensive volumechronicles the history of the tractors that have carried the distinctive green and yellow livery for the past century. In John Deere Century: 100 Years of Green Tractors, acclaimed author and photographer Randy Leffingwell uses his unique brand of storytelling to chronicle the company and the tractors that have carried the distinctive green and yellow livery for the past century. Iconic John Deere tractors ranging from the spartan Waterloo Boy to the Model AOS, and from German and Argentine models to the acclaimed New Generation tractors are featured in this celebration of industrial tractor design. 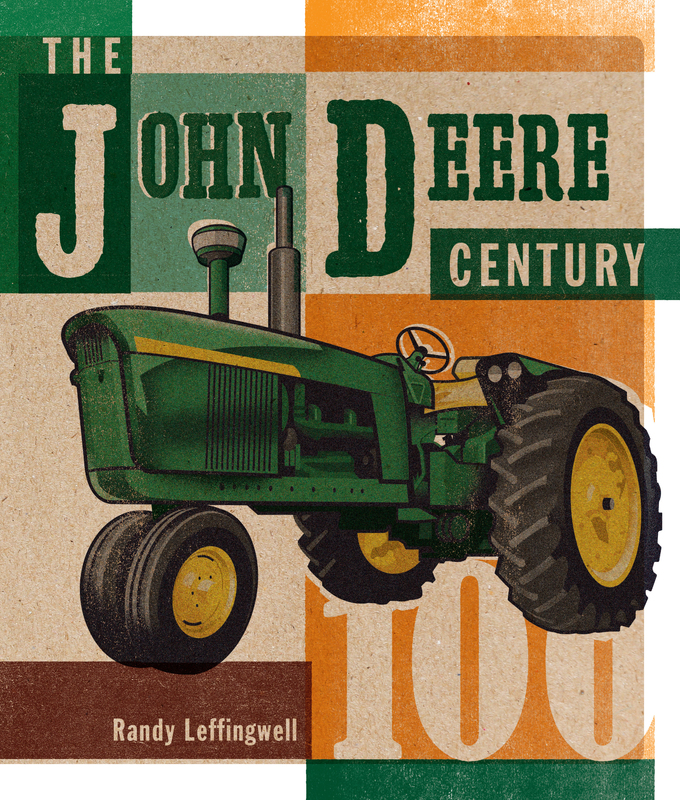 Loaded with photographs, both modern and vintage, and excellently written info, this book will have John Deere fans salivating. Randy Leffingwell wrote his first book, American Muscle, in 1989 while still on staff at the Los Angeles Times. Since then, he has authored another 47 titles for Motorbooks and its sister publisher Voyageur Press, including Porsche 911 50 Years, Corvette 60 Years, and Harley-Davidson Myth and Mystyique. He lives in southern California, about 100 miles north of Los Angeles.